Looking for a warm cable knit sweater to wear in cold months? If so, then I’ve got plenty of cool outfit ideas to share with you. Trust me, there can’t be too many sweaters. This is an essential part of our Fall-Winter season clothes. What are you waiting for? It’s the best time to take it out of your closet to the streets! Scroll down to see my favorite outfit ideas. That’s a marvelous burgundy cable knit sweater styled with cuffed boyfriend jeans and snake-skin printed pointed-toe pumps. In this street style collection I gathered all kinds of knitwear essentials, including oversized, drop-shoulder, turtleneck, poncho-styles and elongated must-tries. 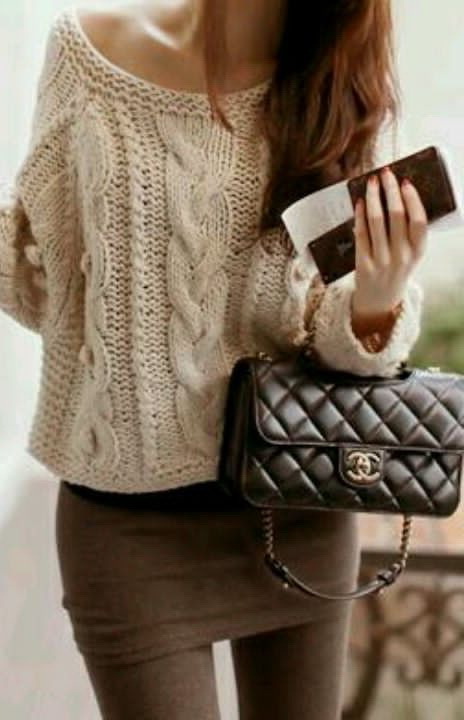 What I love the most about cable knit sweaters is their design that looks amazing and perfectly matches pretty much anything. You are free to mix and match them with jeans, culottes, skirts, shorts and even dresses. I think this street style compilation is a perfect way to get inspired by.